I'm traveling on business this week, but have the very good fortune of being in Nashville at the moment. 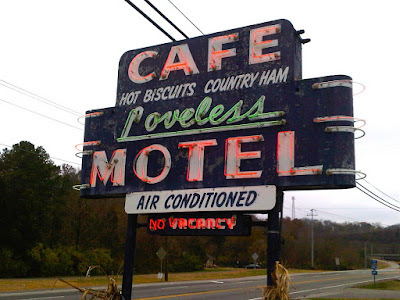 While Nashville is a great town, what makes it spectacular is the opportunity to eat here. 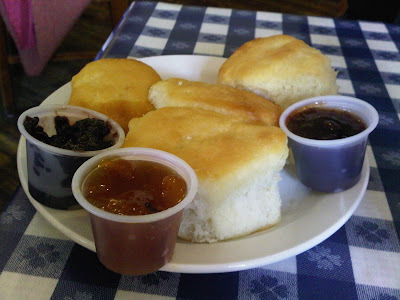 This is the only place I've ever had hot biscuits that give my grandmother's a run for her money. And you just can't get food like this in Santa Barbara — or many other places outside of the South. 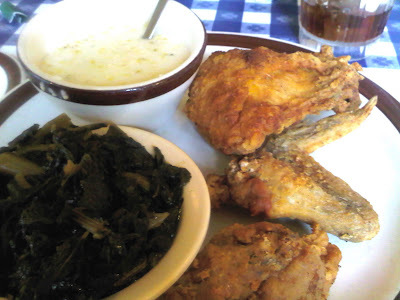 Fried chicken, collard greens in pot liquor, and grits. Oh, how I miss this food. It does make it very challenging to do any work, though, as I feel the constant need for a big nap! I also may have to go out and buy some elastic waist pants.